A long time car nut, my parents recorded in my baby book that I was fascinated by anything with wheels at 15 months, and by 2 years I could tell Datsuns from Volvos… which should tell you something about my age. I learned to drive here in California on my mom’s 1980 VW Rabbit L (1ALZ765, anyone have it? ), and in Germany on my host family’s 1986 VW Golf 1.6 and 1990 BMW 735iL. 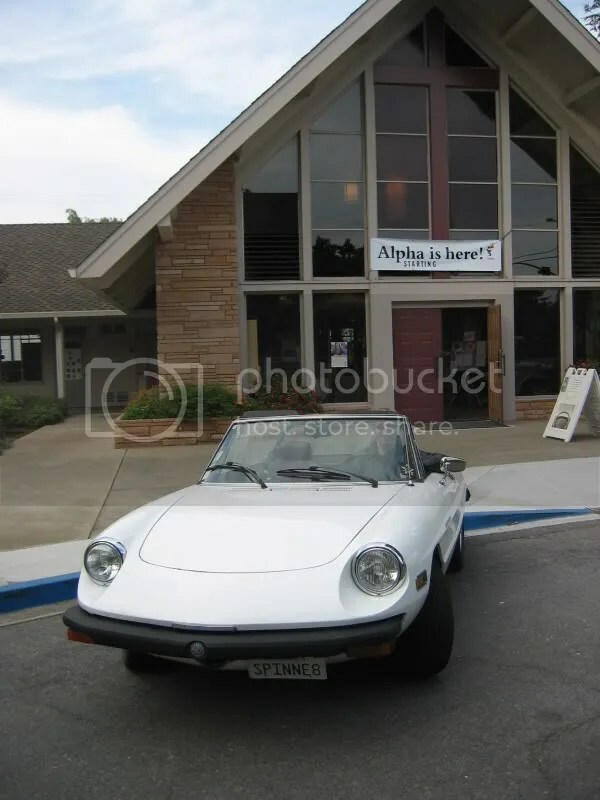 My first car was a 1977 Alfa Romeo Spider, which I still have along with a 1997 VW Golf bought new, a 1979 Alfa Romeo Sprint Veloce (Alfetta GT) bought out of a trailer park for $250, and a 1978 Lancia Beta 1800 sedan bought on eBay. I have yet to sell one of my own cars, which probably makes me the exception at this point! Other than that, I’m an eCommerce project/product manager, most recently contracting at Wells Fargo. A friend suggested I start writing this blog as a way to show how I approach problems, and of course to indulge my passion for old cars. I live in the SF Bay Area, and my girlfriend and I love to take part in driving events… part of the point of the Lancia was to get a car which she can enjoy. Let’s see if that works out!